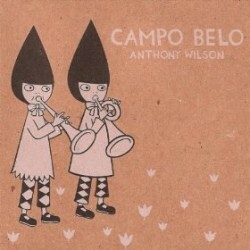 Guitarist Anthony Wilson’s new CD is Campo Belo (Goat Hill Recordings, 2011). In this interview, Wilson talks about his ongoing travels to Brazil; his new music for a quartet of custom-built guitars; and why rhythm changes can be beautiful. Learn more at www.anthonywilsonmusic.com. Tracks used in this episode: Campo Belo; March to March; Edu; After The Flood; Patrimonio; Valsacatu.